Takeaway: It’s been frowned on for a while, but SHA1 is definitely broken for security purposes. In October of 2010, Michael Coles created a contest on his blog called “Find a Hash Collision, Win $100“. The contest was part of a discussion at the time about whether the SHA1 hash was useful for detecting changes. For what it’s worth, I still think SHA1 is valuable as a consistency check if not for security. Unfortunately upon closer inspection, I see that the rules of the contest say that entries must be received prior to midnight U.S. Eastern Standard Time on October 31, 2010. Rats, 7 years too late! In the first draft of this series, this post didn’t exist. I wanted to show a really simple example of a column switch and include it in the Blue-Green (Details) post. I planned for something simple. But I ran into some hiccups that I though were pretty instructive, so I turned it into the post you see here. because maybe we want to track sensors via some serial number or other code. The first two messages point out that a procedure is referencing the column ColdRoomSensorNumber with schemabinding. The reason it’s using schemabinding is because it’s a natively compiled stored procedure. 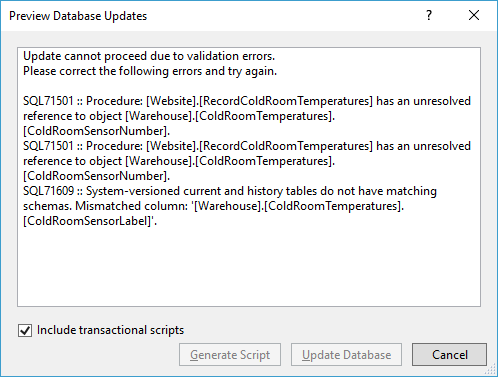 And that tells me that the table Warehouse.ColdRoomTemperatures is an In-Memory table. That’s not all. I noticed another wrinkle. The procedure takes a table-valued parameter whose table type contains a column called ColdRoomSensorLabel. We’re going to have to replace that too. Ugh. Part of me wanted to look for another example. The last message tells me that the table is a system versioned table. So there’s a corresponding archive table where history is maintained. That has to be dealt with too. Luckily Microsoft has a great article on Changing the Schema of a System-Versioned Temporal Table. One last thing to worry about is a index on ColdRoomSensorNumber. That should be replaced with an index on ColdRoomSensorLabel. SSDT didn’t warn me about that because apparently, it can deal with that pretty nicely. An extra step is required here to update the new column and keep the new and old columns in sync. In the following scripts, I’ve omitted the IF EXISTS checks for clarity. Eagle-eyed readers will notice that I haven’t dealt with the history table here. If the history table is large use batching to update it. Or better yet, turn off system versioning and then turn it back on immediately using a new/empty history table (if feasible). After a successful switch, the green application is only calling Website.RecordColdRoomTemperatures_v2. It’s time now to clean up. Again, remember that order matters. Using the Blue-Green deployment method, database changes are decoupled from applications changes. That leaves us with one last challenge to tackle. The schema changes have to be performed while the application is online. It’s true that you can’t always write an online script for every kind of schema change you want. The challenge of writing online schema changes is essentially a concurrency problem and the guiding principle I follow is: Do whatever you need to do, but avoid excessive blocking. There are two main kinds of SQL queries. SELECT/INSERT/UPDATE/DELETE statements are examples of Data Manipulation Language (DML). CREATE/ALTER/DROP statements are examples of Data Definition Language (DDL). Rely on the OLTP workload which has many short queries. In an OLTP workload, the lead blocker shouldn’t be a lead blocker for long. Contrast that with an OLAP workload with long-running and overlapping queries. OLAP workloads can’t tolerate changing tables without delays or interruptions. When using Enterprise Edition, use ONLINE=ON for indexes. It takes and holds a SCH-M lock only briefly. Scripts that change schema are one-time scripts. If the size of the table is less than 50,000 rows, I write a simple script and then move on. If a table change is not a meta-data change, then it’s a size-of-data change. Then it’s time to get creative. Look for my other post in this series for an example of batching and an example of a column switcheroo. If you think “good enough” is neither, you may want to skip this section. There are some schema changes that are still very difficult or impossible to write online. With some creativity, we’ve always been able to mitigate these issues with shortcuts and I want to give an example which I think is pretty illustrative. So be creative and pragmatic. Successful 100% online schema changes involve creativity and close collaboration between everyone involved. So now for the nitty gritty. In my last post, Blue-Green Deployment, I talked about replacing old blue things with new green things as an alternative to altering things. But Blue-Green doesn’t work with databases, so I introduced the Blue-Aqua-Green method. This helps keep databases and other services online 24/7. After the pre-migration scripts, the database is in the aqua state, the new green objects have been created and are ready for traffic from the green application servers. Any type of database object can use the Blue-Green method. 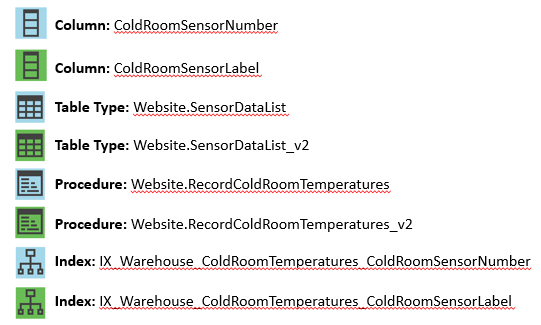 Even objects as granular as indexes or columns. Finally when the load has switched over to the green servers and they’re nice and stable, run the post-migration steps to get to the green state. How is the Blue-Green method applied to each kind of database object? With care. Each kind of object has its own subtle differences. Procedures are very easy to Blue-Green. Brand new procedures are added during the pre-migration phase. Obsolete procedures are dropped during the post-migration phase. If the procedure is changing but is logically the same, then it can be altered during the pre-migration phase. This is common when the only change to a procedure is a performance improvement. But if the procedure is changing in other ways. For instance, when a new parameter is added, or dropped, or the resultset is changing. Then use the Blue-Green method to replace it: During the pre-migration phase, create a new version of the procedure. It must be named differently and the green version of the application has to be updated to call the new procedure. 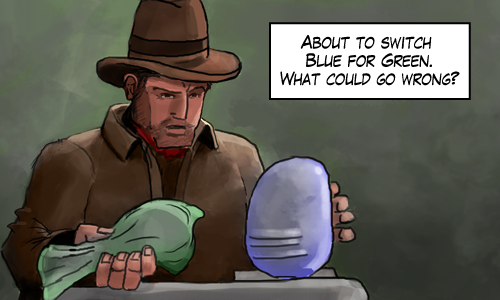 The original blue version of the procedure is deleted during the post-migration phase. It’s not always elegant calling a procedure something like s_USERS_Create_v2 but it works. Views are treated the same as procedures with the exception of indexed views. That SCHEMA_BINDING keyword is a real thorn in the side of Blue-Green and online migrations in general. If you’re going to use indexed views, remember that you can’t change the underlying tables as easily. Creating an index on a view is difficult because (ONLINE=ON) can’t be used. If you want to get fancy go look at How to Create Indexed Views Online. The creation of other indexes are nice and easy if you have Enterprise Edition because you can use the (ONLINE=ON) keyword. But if you’re on Standard Edition, you’re a bit stuck. In SQL Server 2016 SP1, Microsoft included a whole bunch of Enterprise features into Standard, but ONLINE index builds didn’t make the cut. If necessary, the Blue-Green process works for indexes that need to be altered too. The blue index and the green index will exist at the same time during the aqua phase, but that’s usually acceptable. Creating constraints like CHECKS and FOREIGN KEYS can be tricky because they require size-of-data scans. This can block activity for the duration of the scan. My preferred approach is to use the WITH NOCHECK syntax. The constraint is created and enabled, but existing data is not looked at. The constraint will be enforced for any future rows that get updated or inserted. That seems kind of weird at first. The constraint is marked internally as not trusted. For peace of mind, you could always run a query on the existing data. The creation of tables doesn’t present any problems, it’s done in the pre-migration phase. Dropping tables is done in the post-migration phase. What about altering tables? Does the Blue-Green method work? Replacing a table while online is hard because it involves co-ordinating changes during the aqua phase. One technique is to create a temporary table, populate it, keep it in sync and cut over to it during the switch. It sounds difficult. It requires time, space, triggers and an eye for detail. Some years ago, I implemented this strategy on a really complicated table and blogged about it if you want to see what that looks like. If this seems daunting, take heart. A lot of this work can be avoided by going more granular: When possible, Blue-Green columns instead. New columns are created during the pre-migration phase. If the table is large, then the new columns should be nullable or have a default value. Old columns are removed during the post-migration phase. Altering columns is sometimes easy. Most of the time altering columns is quick like when it only involves a metadata change. 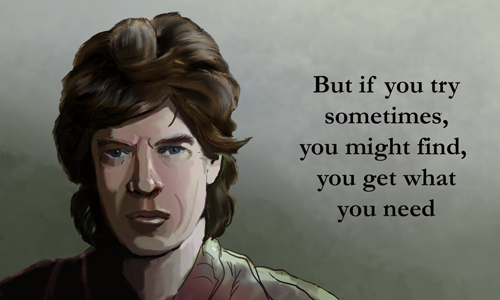 But sometimes it’s not easy. When altering columns on a large table, it may be necessary to use the Blue-Green technique to replace a column. Then you have to use triggers and co-ordinate the changes with the application, but the process is much easier than doing it for a whole table. Test well and make sure each step is “OLTP-Friendly”. I will give an example of the Blue-Green method for a tricky column in the post “Stage and Switch”. Computed persisted columns can be challenging. When creating persisted computed columns on large tables, they can lock the table for too long. Sometimes indexed views fill the same need. We’ve got these helper scripts for most standard changes. Unfortunately, I can’t share the definition of s_INDEX_AlterOrCreateNonClustered_Online because it’s not open source. But if you know of any products or open source scripts that do the same job, let me know. I’d be happy to link to them here. So that’s Blue-Green, or more accurately Blue-Aqua-Green. Decoupling database changes from application changes allows instant cut-overs. In the next post Keep Changes OLTP-Friendly I talk about what migration scripts are safe to run concurrently with busy OLTP traffic. The Blue-Green technique is a really effective way to update services without requiring downtime. One of the earliest references I could find for the Blue-Green method is in a book called Continuous Delivery by Humble and Farley. Martin Fowler also gives a good overview of it at BlueGreenDeployment. Here’s a diagram of the typical blue green method (adapted from Martin Fowler). When using the Blue-Green method, basically nothing gets changed. Instead everything gets replaced. We start by setting up a new environment – the green environment – and then cut over to it when we’re ready. Once we cut over to the new environment successfully, we’re free to remove the original blue environment. The technique is all about replacing components rather than altering components. Before I talk about the database (databases), notice a couple things. We need a router: Load balancers are used to distribute requests but can also be used to route requests. This enables the quick cut-over. 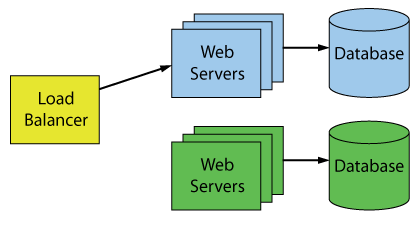 The web servers or application servers have to be stateless as well. What About The Database Switch? The two databases in the diagram really threw me for a loop the first time I saw this. This whole thing only works if you can replace the database on a whim. I don’t know about you, but this simply doesn’t work for us. The Continuous Delivery book suggests putting the database into read-only mode. Implementing a temporary read-only mode for applications is difficult and rare (I’ve only ever heard of Stackoverflow doing something like this succesfully). Leave the database where it is and decouple the database changes from the applications changes. Make database changes ahead of time such that the db can serve blue or green servers. We call this forward compatible database version “aqua”. We stopped short of replacing the entire database. That “aqua” state for the database is the Blue-Green technique applied to individual database objects. In my next post, I go into a lot more detail about this aqua state with examples of what these kind of changes look like. Start with the goal of minimizing downtime. For example, create a pre-migration folder. This folder contains migration scripts that can be run online before the maintenance window. The purpose is to reduce the amount of offline time. New objects like views or tables can be created early, new indexes too. Process changes are often disruptive and the move to Blue-Green is no different. It’s good then to change the process in smaller steps (each step with their own benefits). Schema drift is real and almost inevitable if you don’t look for it. Tools like SQL Compare are built to help you keep an eye on what you’ve got versus what’s expected. I’m sure there are other tools that do the same job. SQL Compare is just a tool I’ve used and like. When scripts are meant to be run online, duration becomes a huge factor so it needs to be measured. When a large number of people contribute migration scripts, it’s important to keep an eye on the duration of those scripts. We’ve set up a nightly restore and migration of a sample database to measure the duration of those scripts. If any script takes a long time and deserves extra scrutiny, then it’s better to find out early. Measuring the duration of these migration scripts helps us determine whether they are “OLTP-Friendly” which I elaborate on in Keep Changes OLTP Friendly. That’s a lot of extra steps and it sounds like a lot of extra work. It certainly is and the key here is automation. Remember that laziness is one of the three great virtues of a programmer. It’s the “quality that makes you go to great effort to reduce overall energy expenditure. It makes you write labor-saving programs…”. That idea is still true today. Coming Next: Blue-Green Deployment (Details). There’s increasing pressure to keep software services available all the time. But there’s also pressure to deploy improvements frequently. How many of us would love to reduce the duration of migration windows or better yet eliminate them entirely. It’s always been challenging to make changes safely without interrupting availability, especially database schema changes. So I’m beginning a series describing the “Blue Green” continuous delivery technique. It’s a technique that really works well where I work, It helps us manage thousands of databases on hundreds of servers with monthly software updates and zero downtime. We use the Blue-Green deployment techniques described in Continuous Delivery by Humble and Farley and made popular by Martin Fowler in Blue Green Deployment. I’ll describe what the Blue-Green deployment technique is and how we use it. We actually don’t follow the book perfectly. I’ll describe what we do differently, and why. With some effort and creativity, we can break our database migrations into small chunks and deploy them while the application is still live. Many changes to schema will lock tables for longer than we can tolerate. Often, the schema changes will need to take a brief SCH-M lock on certain objects and so this technique works best with OLTP workloads (workloads that don’t send many long-running queries). I explore ways to make schema changes that run concurrently with an OLTP workload. What kinds of changes are easy to deploy concurrently and what kind of changes are enemies of concurrency? This series is meant to help people investing in automation and other process improvements. It takes careful co-ordination between those responsible for uptime and those responsible for delivering improvements. 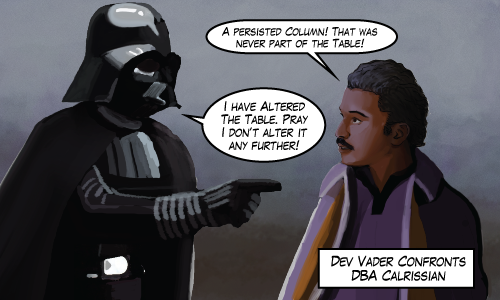 So in your organization, if Dev Vader and DBA Calrissian are on the same team (or even the same person) then this series is especially for you. I know this topic really well. It should be fun. So I decided to give up accuracy for concurrency. Specifically, I decided to only update MyDateTime if the existing value was more than a second ago. But I came across some problems. I assumed that the DATEDIFF function I wrote worked this way: Subtract the two dates to get a timespan value and then return the number of seconds (rounded somehow) in that timespan. There’s no rounding involved. It just counts the ticks on the clock that are heard during a given timespan. But that’s not the behavior I want. How About DATEDIFF with MILLISECOND? SQL Server 2016 introduced DATEDIFF_BIG to get around this specific problem. But I’m not there yet. Update: Adam Machanic points out another benefit to this syntax. The predicate AND MyDateTime < DATEADD(SECOND, -1, GETUTCDATE()) syntax is SARGable (unlike the DATEDIFF examples). Even though there might not be a supporting index or SQL Server might not choose to use such an index it in this specific case, I prefer this syntax even more. Do you use DATEDIFF at all? Why? I'd like to hear about what you use it for. Especially if you rely on the datepart boundary crossing behavior. Sometimes I get asked about work and our software development practices. Often these questions use words like agile, devops, or continuous delivery as in “Are you agile?” or “Do you do continuous delivery?”. But these questions rarely have yes or no answers. I always want to answer “It’s a work in progress”. Deployments to production are scheduled and almost completely automatic. This lets us deploy way more often than we used to. All code – including procedures and table definitions – are checked in. Automatic tests are run on every pull request and merge. Safety is a huge concern. We use feature flags and other techniques, but it remains difficult to maintain large complicated systems safely. We use blue-green deployments for zero downtime. The database layer is an exception to this blue-green technique. So it’s very important to be able to rollback any changes or configuration. Look at those sardines. They’re quite happy where they are. The server can handle up to a thousand databases when there’s almost no activity. But that whale is on a huge server and is extremely busy. Because of the high volume of transactions, we sometimes encounter tempdb contention due to our frequent use of table valued parameters. One technique I’ve been looking forward to evaluating is using memory optimized table types. Maybe We Can Use In Memory OLTP? I’m actually not very interested in memory optimized tables. 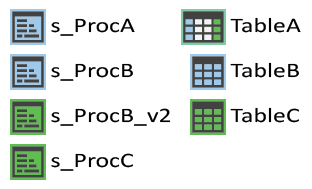 I’m much more interested in the memory optimized table types. Those types can be used for table valued parameters. I can’t tell you how excited I was that it might solve my tempdb pet peeve. We’re leaving the feature behind for a few reasons. There’s an assumption we relied on for the sardine servers: Databases that contain no data and serve no activity should not require significant resources like disk space or memory. However, when we turned on In Memory OLTP by adding the filegroup for the memory-optimized data, we found that the database began consuming memory and disk (about 2 gigabytes of disk per database). This required extra resources for the sardine servers. So for example, 1000 databases * 2Gb = 2Tb for a server that should be empty. Another reason is that checkpoints began to take longer. Checkpoints are not guaranteed to be quick, but on small systems they take a while which impacts some of our Continuous Integration workflows. At the PASS Summit, I talked to a Hekaton expert panel. I also talked to a couple people in the Microsoft SQL Server clinic about some of my issues. They all recommended that we upgrade to SQL Server 2016 (which we can’t yet). Maybe I didn’t phrase my questions well, but I didn’t come away with any useful strategy to pursue. I later talked to a Speaker Idol contestant Brian Carrig (@briancarrig) after hearing him talk briefly about his experiences with In Memory OLTP. He mentioned his own hard-fought lessons with In Memory OLTP including some uncomfortable outages. 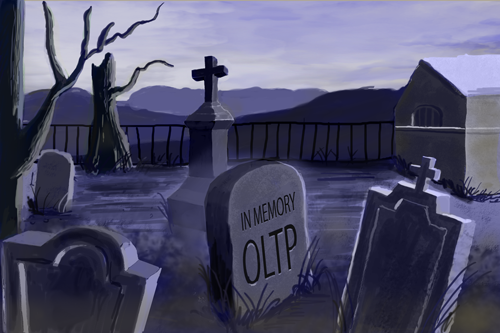 The final nail in the coffin, as it were, is that once you turn on In Memory OLTP, you can’t turn it off. Once the In Memory OLTP filegroup is added, it’s there for good. Like I said, safety is a huge concern for us so we’re giving up on the feature for now. The feature was designed for whales, not sardines. Maybe someday we will try to get those sardine servers to not fail with In Memory OLTP. Until then, the feature goes back on the shelf. “Above all else, show the data” says Edwarde Tufte. He’s the data visualization expert who promotes a high data-ink ratio in data visualizations. He describes data-ink as “the non-erasable core of a graphic”. In other words, avoid chartjunk. I buy that. Less is More. And we can apply that idea to SQL. If SQL is going to be maintained by a human, it’s best to use a style that is easy on the reader. There’s a lot of syntax in SQL that is redundant. By keeping only the non-erasable syntax in SQL statements, the SQL gets easier to understand and maintain. I know I’m not the only one who thinks so. I was watching Kendra Little’s presentation SSMS Shortcuts & Secrets. When someone asked whether there was a shortcut for removing brackets. There isn’t. Most people search and replace “[” with “” and then do the same thing with “]”. Kendra wondered if there was a regular expression that allowed a user to do both. There is, but it’s awkward because brackets need to be escaped: [\[\]] (which is only slightly easier to remember than ¯\_(ツ)_/¯). SSMS’s scripting engine is great at taking an object like a table and giving you a CREATE statement that will perfectly recreate what you need. But it’s a huge contributor of SQL Junk. I’ve seen so much SSMS-generated SQL get checked in to repositories that the style is assumed to be a best practice. Here’s something that shows just how much SQL Junk can be removed. I think the resulting SQL is so much more clear and so much easier to maintain. We encountered a CPU issue which took over a month to understand and fix. Since then, it’s been another couple months and so I think it may be time for a debrief. 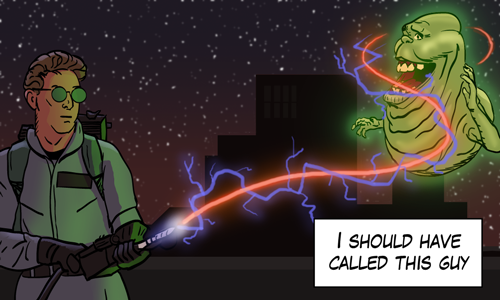 The cause was identified as a growing number of ghost records that SQL Server would not clean up no matter what. Our fix was ultimately to restart SQL Server. At time marked ‘A’ on the graph, we noticed that CPU increased dramatically. It was hard not to notice. We used sp_whoisactive to identify a frequent query that was taking a large amount of CPU. That query had never been a problem before. It was a select against a queue table – a table whose purpose was to store data for an implementation of a work queue. This table had a lot of churn: many INSERTS and DELETES. But it was small, never more than 100 rows. So next, we ran the query manually in Management Studio. SET STATISTICS IO, TIME ON gave us a surprise. A simple COUNT(*) of the table told us there were 30 rows in the table, but reading it took 800K logical page reads! Interesting. The ghost records that remain are version_ghost_records, not ghost_records. Which sounds like we’re using some sort of snapshot isolation (which we’re not), or online reindexing (which we are), or something else that uses row versions. Over time, those version_ghost_records would constantly accumulate. This ghost record accumulation was also present in all other tables, but it didn’t hurt as much as the queue table which had the most frequent deletes. Does an index rebuild clean these up? In this case, yes. An index rebuild reduced the number of version ghost records for the table. At the time marked ‘B’ in the timeline, we saw that an index rebuild cleaned up these records and restored performance. But only temporarily. The version_ghost_records continued to accumulate gradually. At time ‘C’ in the timeline, we created a job that ran every 15 minutes to rebuild the index. This restored performance to acceptable levels. Kendra Little – Why Is My Transaction Log Growing In My Availability Group? This is a great video. Kendra describes a similar problem. Long running queries on secondary replicas can impact the primary server in an Availability Group (AG). But we found no long running queries on any replica. We looked using sp_whoisactive and DBCC OPENTRAN. We didn’t see any open transactions anywhere. Amit also mentions that log truncation would be prevented in the case of a long-running query on a replica. However, in our case, log truncation was occurring. Uwe Ricken also blogged recently about a growing number of version_ghost_records. He talked about looking for open transactions that use one of the snapshot isolation levels. Unfortunately it didn’t apply to our case. Another example of a long running query keeping version_ghost_records around. This stackexchange question also describes a problem with lots of CPU and an inefficient, ineffective ghost cleanup task for databases in an AG. There’s an accepted answer there, but it’s not really a solution. So we called Microsoft support. We didn’t really get anywhere. We spoke with many people over a month. We generated memory dumps, PSSDiag sessions and we conducted a couple screen sharing sessions. Everyone was equally stumped. After much time and many diagnostic experiments. Here’s what we did find. Availability Groups with readable secondaries are necessary (but not sufficient) to see the problem. This is where the version_ghost_records come from in the first place. Readable secondaries make use of the version store. Microsoft let me down. They couldn’t figure out what was wrong. Each new person on the case had to be convinced that there were no open transactions. They couldn’t reproduce our problem. And on our server, we couldn’t avoid the problem. Ultimately the time came for an unrelated maintenance task. We had to do a rolling upgrade for some hardware driver update. We manually failed over the Availability Group and after that, no more problem! It’s satisfying and not satisfying. Satisfying because the problem went away for us and we haven’t seen it since. After the amount of time I spent on this, I’m happy to leave this problem in the past. But it’s not satisfying because we didn’t crack the mystery. And restarting SQL Server is an extreme solution for a problem associated with an “Always On” feature. 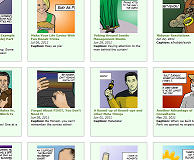 If you’re in the same boat as I was, go through the links in this post. Understand your environment. Look for long running queries on all replicas. And when you’ve exhausted other solutions, mitigate with frequent index rebuilds and go ahead and restart SQL Server when you can.